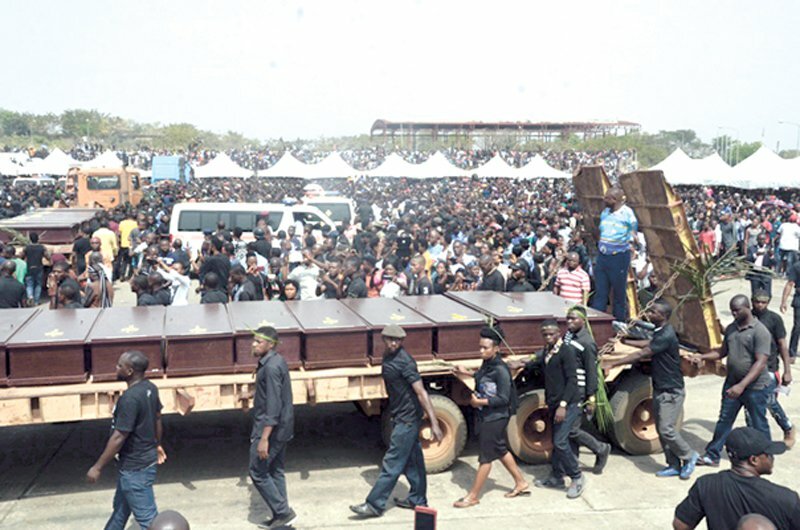 In October 2016, a group under the aegis of Conference of Minority Tribes of Nigeria (CMTN) led by one Comrade Samson Ayodele Balola issued a press statement threatening to take the Indigenous People of Biafra IPOB to the ICC for allegedly masterminding the killing of Fulani herdsmen in Abia state and further called for a ban on the group which has been threatening the existence of Minority Tribes in Nigeria and the peaceful existence of the country. It turned out later that the claim of the killing of Fulani herdsmen in Abia state was false, not to talk of being carried out by the IPOB. Later in 2017, a group, Advocates for Social Justice for All (ASJA) staged a protest at the British embassy calling for the extradition of Nnamdi Kanu and ban on IPOB for threatening the peaceful existence of Nigeria. Various groups from the middle belt started springing up demanding secession in response to the IPOB call for freedom of the Indigenous peoples from the grip of the Fulani if IPOB is not banned. Finally IPOB was proscribed as a terrorist group and Nnamdi Kanu and his family chased under ground. IPOB and Kanu merely called for a democratic process where the indigenous people can legally express themselves via referendum vote to decide how they can exist as one in Nigeria or exit. They did not call for war. They did not invade any tribe and tried to coerce them with force. Fulani herdsmen has upped their game of killing and massacre of the indigenous people of the middle belt since Muhammadu Buhari who is their grand patron came to power with full state support and protection. We now expect the reaction from Comrade Samson Ayodele's CMTN, ASJA or secessionist groups from the middle belt calling for a collective action against the murderous Fulani herdsmen, but they are nowhere to be found. 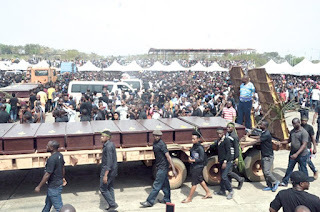 Father Moses Laripuu, in his statement on the killing of Catholic Church worshipers including two priests in Makurdi had lamented that the East (Igbo) is showing no sympathy in the ongoing killings by the Fulani herdsmen in Benue state. The Igbo led IPOB was roundly condemned by all ethnic groups in Nigeria for threatening to break it up and cause war simply for asking for referendum. All the ethnic nationalities currently under the siege of Fulani imperialism should have used the window of opportunity provided by the IPOB to make their voices known and emphasize their right for freedom, but it seems the only thing that unite Nigerian minority tribes the most is when it is a case involving the Igbo. Ndi Igbo can not carry arm to go and defend Benue people. Doing so will attract them another unified gang up and massacre that occurred in 1966. Some will tag it that the Igbo want to take over the middle belt and conquer them. Senator Joseph waku had claimed the reason IPOB included Benue state in their struggle was that the Igbo do not have enough land space to accommodate their Biafra and may face subsequent hunger when they go, that's why they want to take over the state. Dear, Father Moses Laripuu, the Igbo is not aloof. We have the greatest sympathy for your plight. But the problem is that the Igbo is incapable of doing what you ask them to do. We would have done our best if we had the means. The Igbo is not in control of the security forces of Nigeria. They are not the head of the federal government. Involving them in the ongoing crises in Benue would be to aggravate their own plight. They are yet to recover from the brutal massacre they suffered in the hands of fellow Nigerians in 1966. It'd be pertinent if you call on the umbrella groups that sprang up from the middle belt to oppose IPOB agitation to add their voices with the energy they did to IPOB to help in attracting the attention of the international community on what is going on in the region. Let them also march to the British high commission and other world embassies to protest the killings. Ndi Igbo, East are not also safe from the Fulani marauders. Who knows when they are through with Benue, their next target may not be the East? Rather than blame the Igbo and accuse them of showing no sympathy, blame the international community, CMTN, AsJA and RONDEL groups for keeping quiet. My Bro. Okey Igbokwe you really have given a very beautiful summary and respond in regards to this Benue killings, we're wiser now and no one can push us to go for another war. God bless Biafrans! God bless Nnamdi Kanu! !